I'll try and do it when I have some time. Fixed some sound issues and changed the dialog look, now the Font is now in dkc style with a black background. Let me know what you think and what needs changing. Thanks in advance for any constructive criticism. AWESOME!!! Keep the updates coming!!! I am currently rendering out the last scene of act one. Below is shot 36b. I improved the lighting and overall contrast and the look of DK's/Cranky's fur. There are a few glitches in the render. I love the new draft, it's awesome! 0:43 Diddy says: "if it helps me to become a better person", this could to sound better: if it helps me to become a better kong. The song at 1.45 is fantastic. I suggest to use a different brightness for the stick, it looks very similar to the fur of Cranky in your last screenshot. I like the new details on the floor, they look pretty well ! "Having to stand outside in the storm". Diddy. You are in a cave. PHASE ONE OF ACT ONE COMPLETE! OneOf99 wrote: "Having to stand outside in the storm". Diddy. You are in a cave. You got it! I thought about that. How would you word it? I was using Sonosublime's script. Thanks for you comments vege. I will take them into consideration. Cyclone wrote: How would you word it? Maybe along the lines of "Why am I the one stuck with work on such a stormy night?" No comments/critiques? I need this before I start the next phase of the project. Thanks! First off, I admire your effort to ensure perfection in your video, Cyclone. The 2 drops on the "forehead" of Diddy could be flatter, and more transparent (they look very spherical), i suggest that the drops are closer to the ear because when Diddy turns, the drops look like tears because they are "on" his eyes in that moment. Just at 1:21 You could to stop the first song because the sound of the kremling must to dominate those seconds, it needs be stronger (it exists a plugin named Dada Life sausage fattener, it is useful for that ), maybe it could to be complemented with the sound of a reverse cymbal when he opens his mouth. 1:40 - 2:30 My favourite part, it is awesome, good animation, details and music. From 3:00 I would prefer a song like this (or similar) https://www.youtube.com/watch?v=7u_xtEFMP8g The music needs to be in line with the tension that Donkey Kong feels, i think that a faster song works better, and that song remains in the memory of viewers, so it is emotionally powerful, i guess that the music of the caves is not necessary from 3:00. Your work is fantastic, keep it up ! I would suggest that, when Diddy gets freaked out by the lightning, that it happens AFTER he is finished talking, because then it looks slightly off and silly. The drops should also be present only during the scene with the kremlings(they just look very stupid before that scene appears at all in my opinion), which should start out with Diddy facing the exit to the cave and noticing one of the shadows, before turning around and noticing the others, or with him seeing the gnawty come running into the cave(you know, thatgnawty in the scene right before Diddy's) and as he either turns around to look at it go by or trys to get rid of it before it takes the bananas, notices the kremling shadows, and the scene plays as normal. EDIT: During the scene with the glowing kremling eyes, add some to the left side for a more balanced effect. The scene with the Krusha charging at diddy should also be melded into that same scene, by the way, in that some additional kremlings appear in front(one of these could be Klump, but that's for you to decide) as silhouettes with their own glowing eyes, until the Krusha is visible to see(supposedly thanks to the lightning) and then charges at Diddy, ending the scene. Which, by the way, should probably wait a few seconds before beginning the transition to the title of the project. Michael1990 wrote: I agree with Qyzbud; the ship looks much better. lol I was thinking the same thing! and what post from Qyzbud???? It was a very clever text-AI spambot. I've given the 'bot the almighty banhammer and deleted the posts. 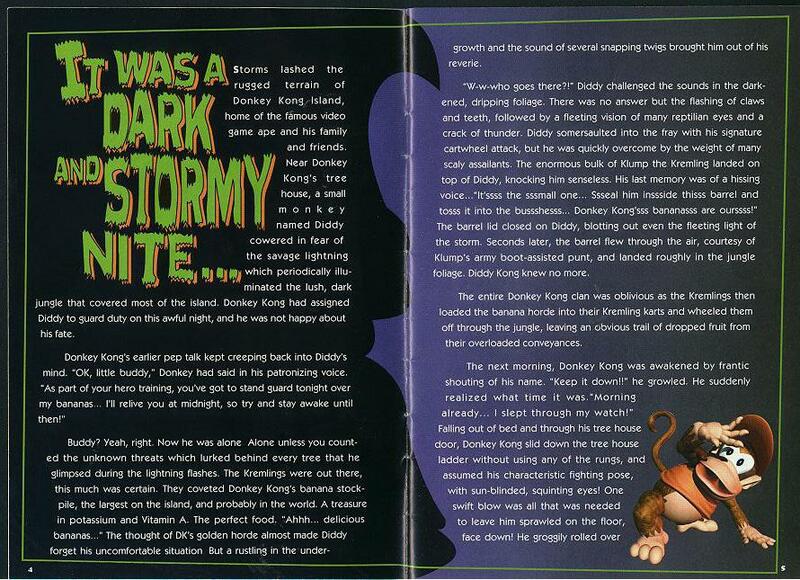 "It Was A Dark And Stormy Night", is a nice callback to the original story's lead-in, but the relevant dialogue in the instruction booklet reads "IT WAS A DARK AND STORMY NITE...", so perhaps that odd spelling ought to be honoured, the ellipsis should be included, and an all-caps approach is best. Also, having the text positioned in the centre (up a bit) would probably look better, too. Thanks for the feedback Qyzbud. I noticed the contrast was way off when viewed on my new monitor. Everything else seems fine but not my animation. In post I adjust the colour/contrast to correct it. Let my know if it looks good on your end. Thanks Cosmicman. And welcome back. Hope all is well. Looking foreword to more of your awesome work too! No comments on my latest compilation of the scenes? Need to know if the brightness/contrast is good. Thanks. Also what do you think of this intro text? If anyone can find a closer match to the manual text let me know. I think it is a good resemblance, and the colors on the font or really reminiscent of the original. Nice job! Very good replication of the original font. I would just spell night normally personally, not too sure why it was spelled incorrectly. I looked for fonts called electric or shock, maybe there is a better one there. It is my attempt: vector -> bmp -> png. I am not sure if to create a dkc font could be useful. I prefer your version Cyclone, it looks more modern, i would like watch your new animation! Cyclone a long time i follow your project and see you have great skills, you like to help me in my project with their models and animations? we realize this dream! This is amazing. Looks just like the font in the game manual. Can I use this for my project? Does anyone want me to continue my animation project? Or should I call it dead/abandoned? The reason I ask is I have an illness that is preventing me from fully enjoying working on it. I'd be happy to see it worked on more! I think that island you did was amazing, your work is truly something else. You've captured Jungle Hijinxs' environment beautifully! Keep up the awesome work! Sorry for the lack of updates. I have an illness. Does anyone want me to continue working on this project? Yes, please! It seems that for every person working on a project, we have 4 more that tag along to constantly congratulate and help out with motivation. Besides, it wasn't your fault that you got sick, take all the time you need! Work on it if you want to, dear Cyclone. I don't want to pressure you. You have my support and bananas! Absolutely! It may seem all too quiet at times - believe me, I know what you're feeling in that respect - but there are dozens of folks eagerly awaiting news and updates on the project, in spite of any underwhelming reactions. Keep up the phenomenal job, Mr. Cyclone, sir. Well said, hopefully everyone who contributes to this site does realize how much we all appreciate what you do. Cyclone wrote: Does anyone want me to continue working on this project? Please continue when you can! Your work is much appreciated. I love what you made so far! 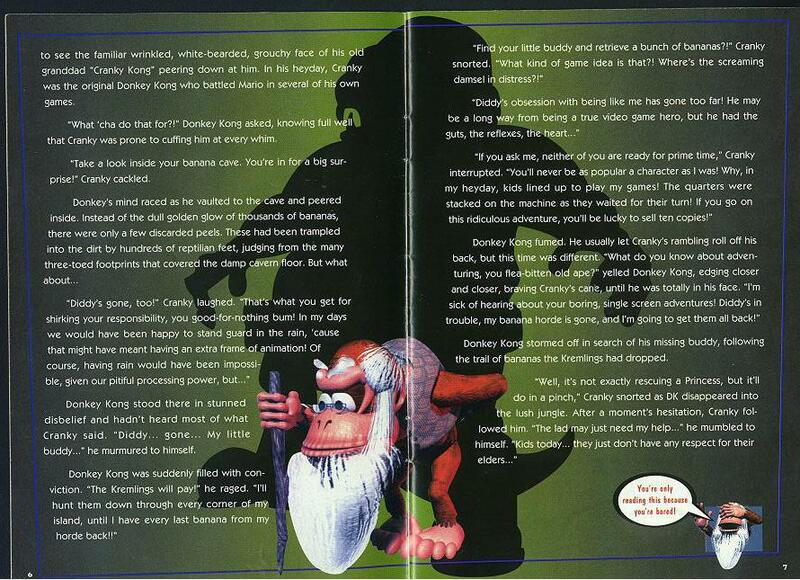 I am so happy to see this and other DKC projects. So uh Cyclone.... Any updates yet buddy? I haven't yet given up hope for this project. It's been almost 2 darn years. Do what you must, Sir Cyclone. I don't mind either way, as long as you stay healthy. I'd be happy to see you continue this project, but of course if you are unable to then please do what is best for you.